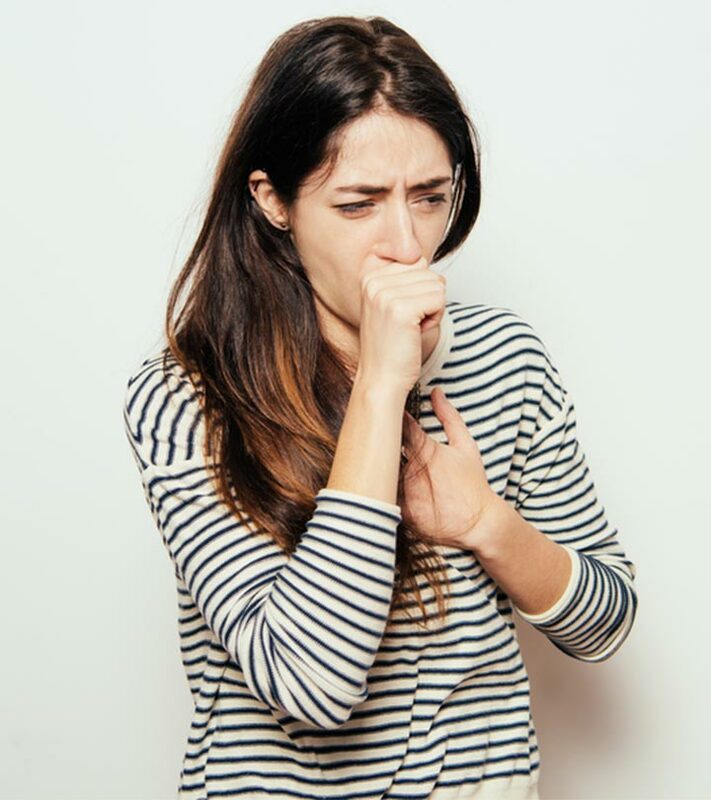 If you are coughing uncontrollably and experience a whooping sound when you try to breathe, it most certainly means that you have contracted the infectious whooping cough. This infection can affect anybody, but it is more common and severe in infants and children. It may even cause breathing difficulty and become life-threatening. Do you think your little one has developed a whooping cough? Worry not. In this article, we are going to tell you about some natural home remedies to treat the infection. 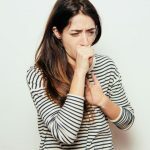 Read further to find more about whooping cough, its causes and symptoms in adults and children, and how you can treat it naturally. Whooping cough, also known as pertussis, is a bacterial infection that results in unmanageable coughing spells followed by difficulty in breathing (1). Although it can affect both adults and infants, it may be more dangerous for children due to their inability to manage its symptoms. Let us now look at the causes of this infectious condition. Whooping cough is caused by Bordetella pertussis bacteria. These contagious bacteria are the sole cause of this infection in both adults and infants (2). When the cough droplets dispersed by an infected individual are inhaled by an uninfected individual or child, it leads to whooping cough in the latter as well. The onset of the infection is accompanied by a series of symptoms that may vary in their severity. The symptoms of whooping cough are almost similar in both adults and babies, with only slight variations. The symptoms are often mild in the beginning but turn severe with time. This bacterial infection may have dangerous consequences if not treated immediately. Given below is a list of natural remedies that can help you and/or your child in the struggle against this infectious condition. Mix peppermint oil with a carrier oil of your choice. Apply this mixture on your chest and back. Alternatively, you can also add a drop of peppermint oil to hot water and inhale the steam. Do this one to two times daily. 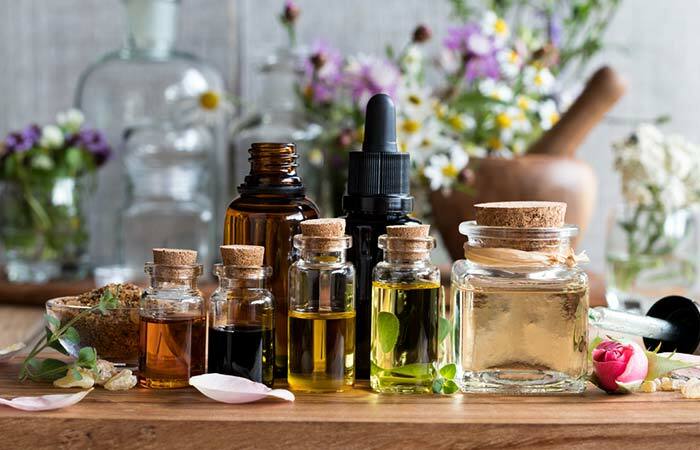 Peppermint oil has decongesting and antibacterial properties, which can prove to be beneficial in the treatment of whooping cough and its symptoms (3). Mix eucalyptus oil with any carrier oil. Apply this blend to your chest and back. You can also add a drop of eucalyptus oil to some hot water and inhale the steam. Eucalyptus oil is derived from the leaves of the eucalyptus tree. This oil is well known for its antibacterial and decongesting nature and can help relieve whooping cough (4), (5). Vitamin C is one of the best ways to treat whooping cough. Babies up to 6 months of age receive the required amounts of vitamin C through breast milk. For children older than 6 months, vitamin C intake can be increased through their diet. Adults require around 70 to 90 mg of vitamin C on a daily basis, while infants require about 40 mg of the same (6), (7). 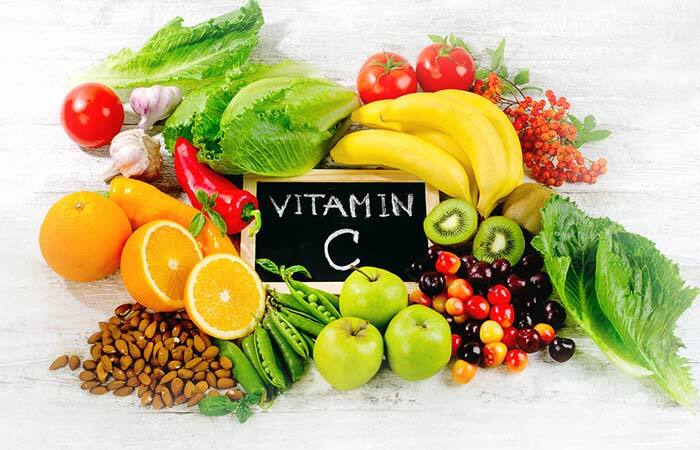 Although you can opt for vitamin C supplements, it is a better option to increase its intake naturally via your diet. Peel and cut the onion into small pieces. Mash these pieces and add honey to this. Let this mixture sit overnight. Consume a teaspoon of this every few hours. 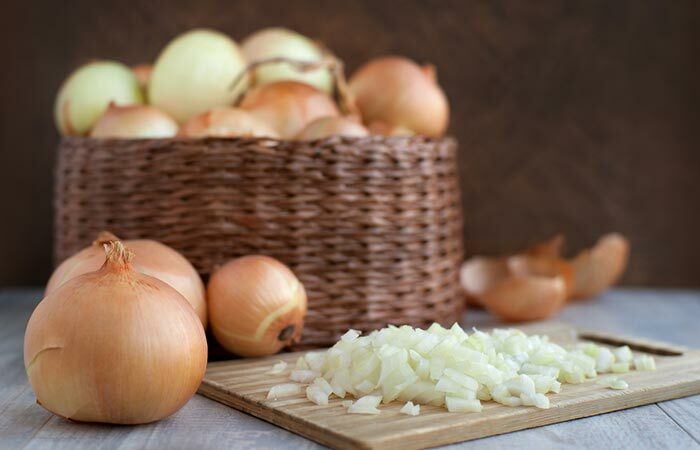 Onions are rich in phytochemicals and vitamin C. The antibacterial activities of these constituents can help improve your overall immunity, helping you deal with whooping cough better (8). Extract the juice from the smashed garlic and consume this daily. Garlic is a decongestant that exhibits antibacterial activities. 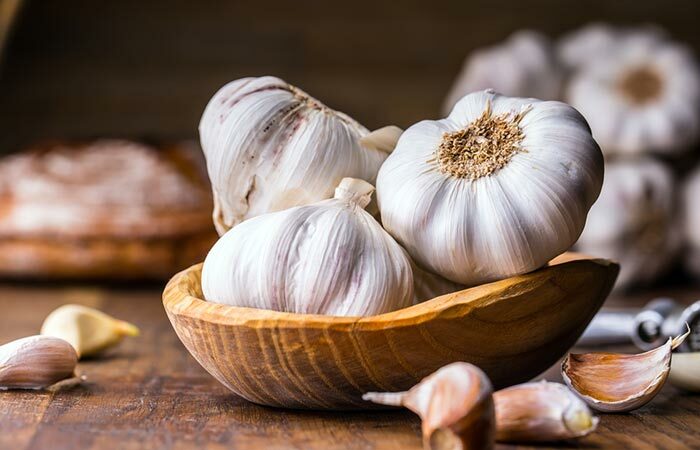 These properties of garlic can be used to combat the bacteria that cause whooping cough (9). 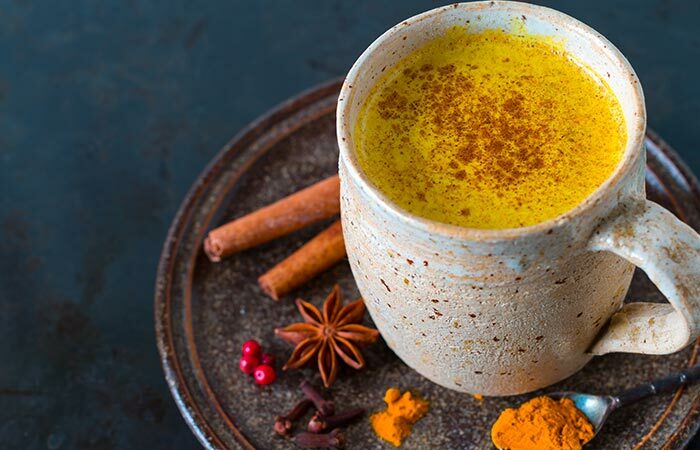 Add a teaspoon of turmeric to a glass of hot milk. Mix well. Turmeric contains a compound called curcumin. Several studies have proven curcumin’s exceptional antimicrobial properties and its efficiency in treating coughing and wheezing (10), (11). Mince the ginger to make a paste. Extract the juice from the minced ginger and consume it daily. 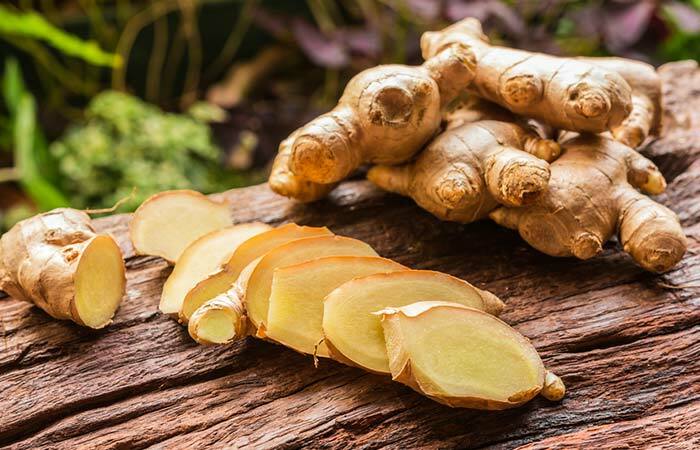 Ginger is a natural expectorant and contains a compound called gingerol. The expectorant and antibacterial properties of ginger can help in combating whooping cough (12), (13). 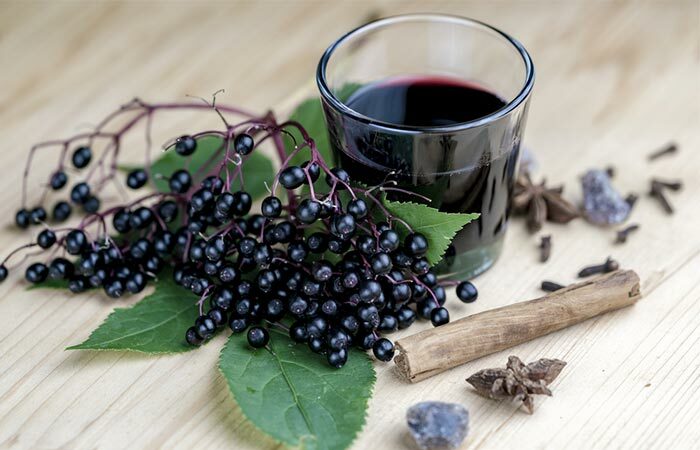 Add elderberry syrup to a cup of fruit juice or warm water. Do this thrice daily, for a week. Elderberry syrup is derived from a flowering plant. It is antibacterial and contains chemical compounds that are proven to boost your immunity and prevent cough and cold (14), (15). Steep the green tea leaves in a cup of hot water for 5 to 10 minutes. Drink this tea two to three times a day. The antiviral and antioxidant properties of green tea are found to be helpful in treating a variety of infections, including cold and flu. 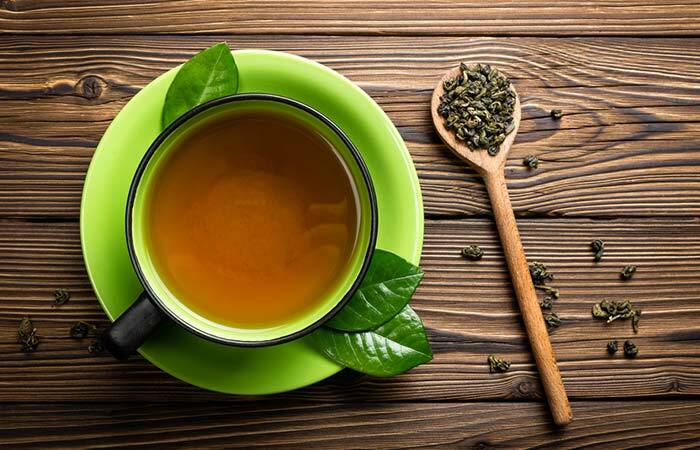 Studies also hint that some polyphenols in green tea may exhibit antibacterial properties, which can help kill the bacteria causing whooping cough (16), (17). 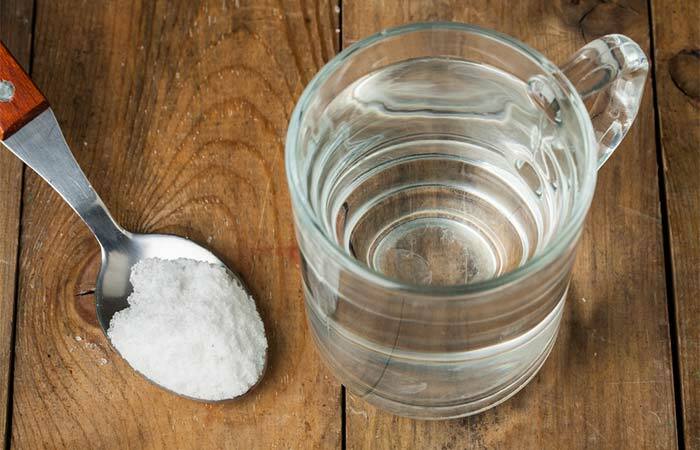 Mix a teaspoon of salt in a cup of hot water. Use this water to gargle. The high salt content, combined with the effects of hot water, can help clear phlegm and relieve cough. Salt, also known as sodium chloride, is antibacterial and promotes faster recovery (18), (19). Install a humidifier in the room of the infected individual. It keeps the room relatively moist and reduces the intensity and severity of the cough (20). 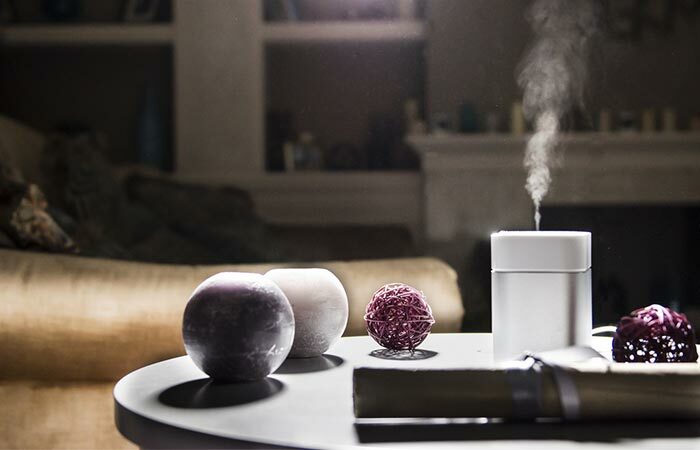 You can also add a few drops of any essential oil to the humidifier for added benefits. 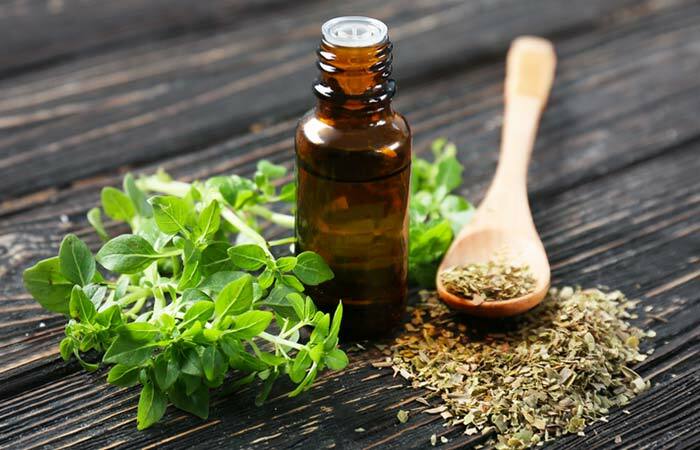 Mix a few drops of oregano oil with any carrier oil. Rub this mixture on your chest and back. Alternatively, you can also add 4 to 5 drops of oregano oil to hot water and inhale the steam or consume oregano tea. Oregano is a natural expectorant that has antibacterial properties, and this may be helpful in treating whooping cough (21) (22). Add organic honey to a cup of warm water and mix well. Honey is widely used for its healing and medicinal properties. 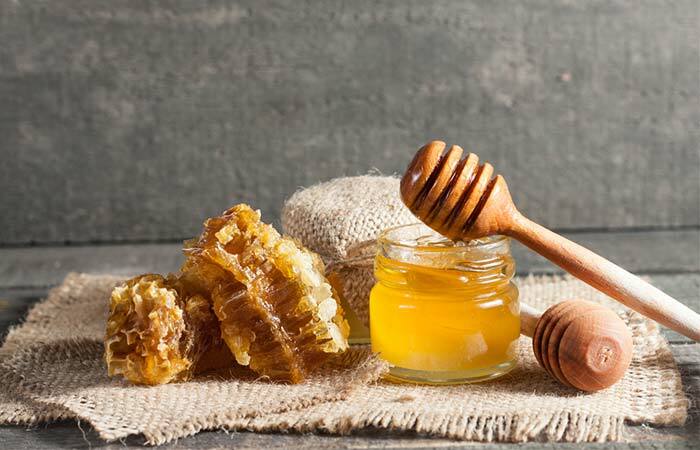 Being an antibacterial and antiseptic, honey is proven to ease the symptoms that accompany whooping cough and this, in turn, can help you recover faster from this infectious condition (23), (24). 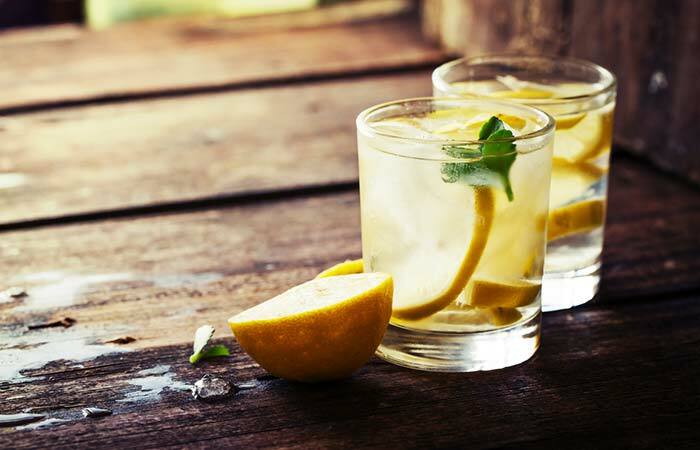 Squeeze half a lemon into a glass of water. Add honey for flavor and consume daily. Drink this 2 to 3 times daily. Lemon is a rich source of vitamin C, which is known for its antibacterial and antiviral properties. These properties make lemon an effective weapon against whooping cough (25). Steep the licorice in a cup of hot water for 5 to 10 minutes. Strain and consume this tea before it turns cold. Drink this tea 2 to 3 times a day. 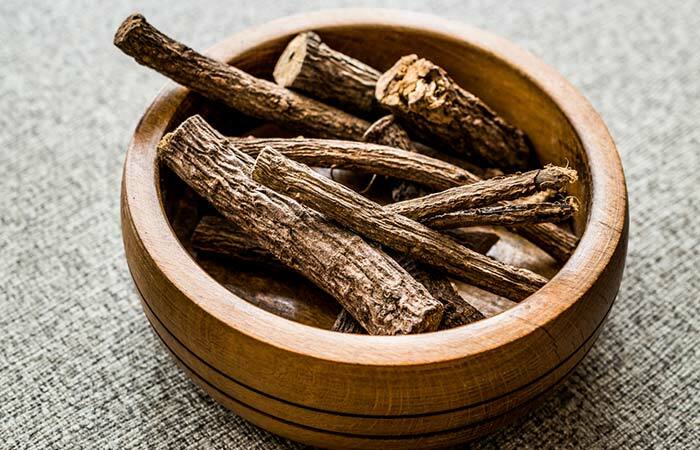 Licorice contains glycyrrhizic acid that exhibits immune boosting activities. It also works as a demulcent and helps in accelerating the healing of tissues damaged by persistent coughing (26), (27), (28). 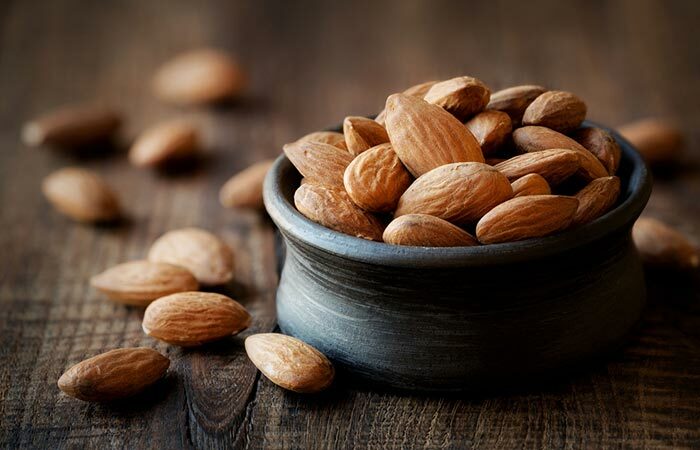 Soak some almonds in water overnight. Grind them the next morning with butter. You must have this two to three times a day. Almonds are natural antioxidants. The polyphenols present in their skins are known to exhibit antibacterial properties that can fight the bacteria that cause whooping cough (29). Steep two teaspoons of chamomile herb in a cup of hot water for 5 to 10 minutes. Consume the tea before it turns cold. Do this two to three times daily. 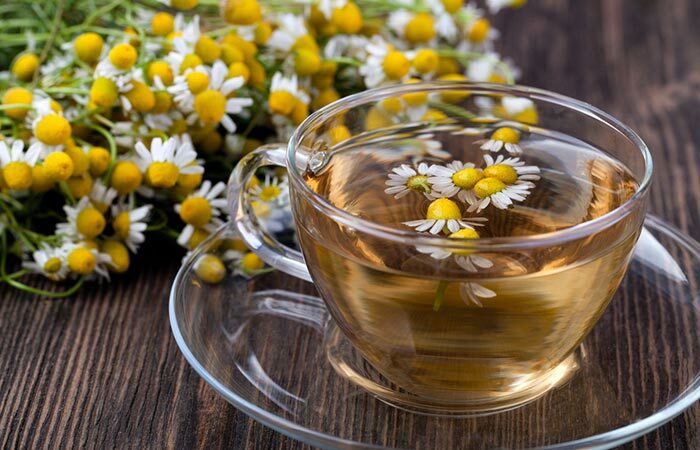 The anti-inflammatory and antiphlogistic (ability to reduce inflammation) nature of chamomile can help in relieving the fever and inflammation associated with whooping cough, hence speeding up the recovery of the infected individuals (30), (31). 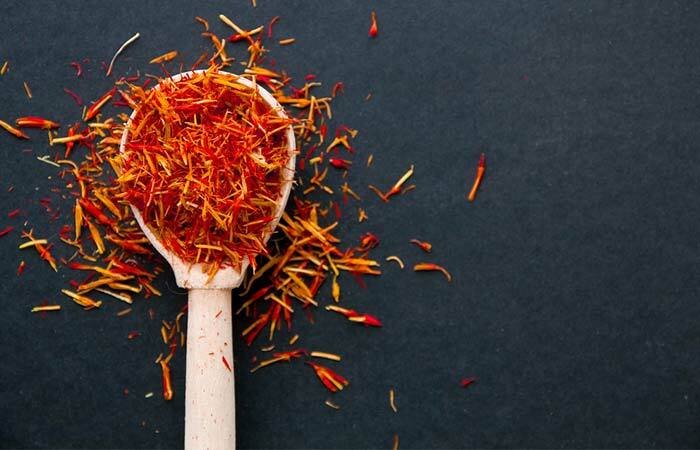 Soak the saffron strands in a cup of warm water for 5 to 10 minutes. Add honey for flavor and consume this daily. Saffron acts as an expectorant and is also an antibacterial, which makes it one of the best treatment options for whooping cough (32). All these remedies can do wonders to relieve the symptoms of whooping cough for you and your little one. However, you must use them in moderation and that too for children above 1 year only. In addition to the remedies, you can also follow the preventive tips mentioned below to prevent the recurrence of the infection. Maintain basic hygiene by washing your hands before eating and covering your mouth and nose while sneezing. Practise yoga and exercises to strengthen your lungs and improve your breathing. Practice breathing exercises to improve the functioning of your lungs. Follow a proper diet that includes all the important minerals and vitamins needed for your body to recover soon. Try to stay as dry and warm as possible to avoid further health complications. Take ample amounts of rest to enable your body to recover faster. Stay away from allergens such as dust and pollen that can worsen your condition. Consume fresh fruits, milk, eggs, and ginger tea. Keep yourself hydrated by drinking enough water and fruit juices. This can ease the dryness in your throat. These preventive tips can help in increasing the efficiency of the treatments against whooping cough and this, in turn, can accelerate your recovery. Once you have recovered from this infection, you need to take precautions to avoid chances of reinfection because, if left untreated, a whooping cough can cause some drastic side effects in the long run. Most adults and teens can recover from whooping cough without much complication. But the scenario is quite different in the case of infants under 6 months of age, and the complications are much severe. The long-term side effects of whooping cough in infants are as follows. 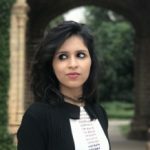 Although the remedies mentioned in this article can help you combat whooping cough to a certain extent, it may take longer for them to act on your little one. Hence, it is recommended to consult a doctor if your infant is under 6 months of age and affected by this condition. This is because infants are at a higher risk of life-threatening complications arising from the infection. However, you can still go ahead and use the natural home remedies for whooping cough suggested here to treat any mild to moderate cases for you as well as your kids above 1 year of age. Also, let us know in the comments section below if these remedies were successful in giving you the desired results. What is the difference between a cough and a whooping cough? Coughing is usually a reflex action to any foreign substance or mucus in the throat that only lasts for some time. But a whooping cough is characterized by continuous bouts of coughing until the lungs are emptied, and this is usually followed by a ‘whooping’ sound when an individual tries to inhale. What are the pros and cons of taking a whooping cough vaccine during pregnancy? Pregnant women need to take the whooping cough vaccine during the third trimester of their pregnancy. This is to ensure the protection of their baby against whooping cough in the first few critical months after birth. However, in some rare cases, infant deaths from whooping cough have been reported in spite of vaccinating their mothers. The course of a whooping cough is usually classified into 3 stages. The first stage is the catarrhal or runny nose stage. This stage lasts for almost two weeks and is often accompanied by occasional coughs, sneezing, and nasal congestion. The second stage is the paroxysmal stage. This stage varies in its duration and could last anywhere from 1 to 10 weeks. The paroxysmal stage is often characterized by continuous and intense bouts of coughing. This stage could prove lethal for newborns as the drawn-out coughing sessions could leave them breathless. The third and final stage is the convalescent stage that can last from weeks to months. It is during this stage that the chronic coughing sessions become less paroxysmal and the affected individual starts to recover.